Your concerns, complaints, and stray animal control are handled by KCAC. You may call us at 630.232.3555 to speak with our staff. How do I determine whose jurisdiction I fall under? If you own a home, your taxes are paid to the municipality or township whose jurisdiction you are in. If you don’t know who you pay taxes to, or if you are a renter, you can use a website such as Zillow or Google Maps to see where city boundaries fall. If unsure, you can call KCAC or your local police to determine what agency must handle your call. How do I register my pet with Kane County? Your adoption paperwork should include a Certificate of Rabies Vaccination, which among other things, records the date the rabies vaccination was given, your pet’s information, the vaccine brand and lot number, and the administering veterinarian, among other things. This certificate must be presented to KCAC, either through the mail or in person, along with the appropriate fee. KCAC can accept payment by cash, check, debit and credit card (Visa and Master card only) at our facility. You may view our fee tables here. If applying for a tag by mail, make sure that the address listed on the certificate is correct, and make sure that the certificate indicates a pet’s spay/neuter status correctly. You may include additional documentation to prove this status. Finally, include a personal or cashier’s check payable to Kane County Animal Control, and mail to 4060 Keslinger Road, Geneva IL 60134. In two to three weeks you will receive your tag in the mail. Your animal will only be registered with the County if the appropriate fees are submitted along with the rabies certificate. I have a squirrel/raccoon/opossum in or around my house. Will you remove it for me? I have a baby rabbit/injured bird in my yard. Who should I call? Injured wildlife should be handled by a local wildlife rehabilitator. For information about specific animals, check Flint Creek Wildlife, or call at 847-842-8000. In the southern part of the county, you can call the Fox Valley Wildlife Center at 630-365-3800. There’s a bat in my house. Will you remove it for me? KCAC works with the State of Illinois Department of Public Health for testing of rabies in bats. KCAC will remove a bat from a citizen’s home that meets the requirements set forth by the State of Illinois. 1. Bats that have not exposed a person or owned animal will not be picked up or tested. 2. Bats that are found outside the residence, in an attic or unused basement. Homes colonized by bats must contact a nuisance trapper to have them removed. There’s a dog in my yard. What should I do? If your address is within city limits, your first point of contact must be your local authorities. Your local police or animal control will work in conjunction with KCAC to resolve the situation. Dogs in Kane County must be kept on a leash at all times, as per Article IV, 5-9 of the Animal Control ordinance. If the dog is contained within your yard, and the dog was found in an unincorporated area of the county, you may call KCAC at 630-232-3555 to arrange a pickup or drop-off of the animal. I just saw a dog run past. What should I do? If the address where the dog is running is within city limits, your first point of contact must be your local authorities. Your local police or animal control will work in conjunction with KCAC to resolve the situation. If the animal is running in an unincorporated area of Kane County, KCAC will pick up the animal if it can be confined. If the animal is unable to be contained, you can call KCAC at 630-232-3555 to report the sighting. There’s a cat in my yard. What should I do? Unlike dogs, cats are not required to be on a leash while they are not on their owner’s property; as such, cats effectively have free roam of the county. There are large numbers of owned “outdoor” cats in the county, and in order to encourage them to move on from your property, do not feed a cat or any other wildlife you see wandering. If there is a sick or injured cat in your yard, call KCAC at 630-232-3555, or your local authorities for injured cats within city limits. I lost my pet. Who can I call? There are several resources that can help you find your lost animal. If your pet is picked up within city limits, it will first be taken to that city’s police department. Call your police department or local animal control to see if they have found your animal, and to make a report. And because animals don’t understand boundaries, call KCAC at 630-232-3555 to see if your animal has been picked up in another area, and to make a lost dog report with us. KCAC maintains an online record of its stray animals at Petharbor, along with photographs of the animal. Under the Lost Pets column, select the appropriate species to see what animals we have at our facility. If your pet is microchipped, call the microchip company and make sure that your information is current in their database. All animal control agencies in Illinois will scan animals for a microchip, but if the information connected to the microchip is incorrect, it may be impossible for the correct owner to be found. Social media, such as Facebook, can be a great help in making sure that people in your area know about a lost animal. 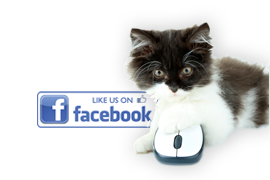 Many subdivisions and cities have Facebook pages where photos and information about a lost pet can be posted. Lost dogs can be also reported to Lost Dogs Illinois, a database of lost and found pets statewide. Many people also make postings for lost and found dogs on Craigslist. Newspapers, in their classified ads section, usually print lost and found dog notices as well. You can also view most classified ad sections online as well. Finally, posting fliers and walking the area where the animal was lost can sometimes locate an animal which you suspect may be staying in the same area, and make sure that people in your neighborhood are aware that your pet is lost. If your animal is nearby, giving it a scent trail to follow back home can help. If you have an item of bedding that your pet slept or laid on frequently, setting it outside can help create a beacon for it to follow back home. For a complete list of all local shelters in or around Kane County please click here. KCAC has my lost pet. How do I get it back? If KCAC has your pet, you will need to provide a driver’s license or other form of photo ID, and proof of ownership for the pet, such as a rabies certificate or veterinary record. You may call KCAC at 630-232-3555 for further information about reclaiming your pet. Do I have to pay a fee to pick up my animal from you? There is a pickup fee for animals impounded by KCAC for any reason. For a breakdown of charges, see our Fee Tables. I see an injured animal. Who should I contact? For critically injured domestic animals (dogs, cats, etc) and most wildlife (raccoons, opossums, rabbits), call the respective authority. I see an animal that looks like it has rabies. Thankfully, because of widespread vaccination efforts, rabies is uncommon in Illinois. However, cases of rabies in animals are still present in Illinois and throughout the rest of the United States. For information on the rabies virus itself, consult our entry on how many rabid animals KCAC finds each year. I see a dead animal. What should I do? If the deceased animal is on your property, you may dispose of it along with your regular waste. Wearing gloves, put the animal in two refuse bags in order to deter other animals from approaching it, and it may be disposed of like any other household waste. I see a coyote. What do I do? Coyotes are native to Illinois, and with the rapid expansion of suburban and exurban areas, more wildlife has become displaced, and these animals have also become more accustomed to the presence of humans. Typically, a coyote sighting is nothing to fear. Attacks on dogs are rare, as coyotes typically hunt animals naturally within their ecosystem, but animals should never be left outside unattended. In most cases, a loud noise or aggressive posture will be enough to deter a coyote. When walking dogs, particularly smaller ones, always be cautious. You may consult the University of Illinois’ Wildlife Directory or Flint Creek Wildlife for further information about coyotes in Illinois, and report coyote sightings at scientificwildlifemanagement.com. Attacks in progress by coyotes should be treated as emergencies. If you see a coyote on the grounds of a school, or one that is otherwise threatening children, call 911 for assistance. How many rabid animals does KCAC typically find in a year? Thanks in large part to the widespread vaccination of companion animals, rabies cases are rare throughout the whole of Illinois. You may view statistics on rabies cases by county at the Illinois Department of Public Health’s Reportable Diseases and Conditions website. My neighbor’s dog won’t stop barking. What can I do? If the animal is located within city limits, your first point of contact must be your local authorities. Supply what information you can, and your local police or animal control will work in conjunction with KCAC to resolve the situation. If the animal is in an unincorporated area, call KCAC at 630-232-3555. Supply what information you can, and KCAC will follow up on your complaint. I think someone is abusing/mistreating their animal. What should I do? If you have witnessed what you suspect to be the abuse or mistreatment of an animal within city limits, your first point of contact must be your local authorities. Supply whatever information you can, and your local police or animal control will work in conjunction with KCAC to resolve the situation. You must be able to provide an exact address in order for your call to be reported to a warden. You will also be required to give your name and a phone number. This information is kept confidential, and used by KCAC’s wardens to follow up in case further information is needed. I see a horse that is outside without a coat on. Is this abuse? The Animal Control Ordinance requires that, if left outside, an animal must be provided access to food, water, and shelter, such as a barn or lean-to. The Ordinance does not require horse owners to provide coats to their horses. An outdoor horse in good body condition with shelter, proper nutrition, and excess water, can properly maintain their body temperature even in extreme weather conditions. KCAC recommends that all horses left outside have water heaters placed in their water source once temperatures reach 32 degrees Fahrenheit or below. I’ve just been bitten by a dog/cat. What should I do next? If it’s possible for you or someone with you to get the owner’s information, do so. Seek medical attention at a hospital or urgent care facility. Your attending physician will file a bite report with the county, and KCAC will follow up with the owner. If necessary, KCAC will contact you for further information. My dog just bit someone/something. What should I do next? Upon receipt of the bite report, you will be contacted by KCAC about observation of your animal for rabies. You may have to verify that your dog had received a current rabies vaccination prior to the bite, and you will be responsible for the observation of the animal by a registered veterinarian. Animals that have a current rabies vaccination at the time of the bite can do an at-home confinement, called a one-and-ten. This means that the animal will have to be seen by a veterinarian within 24 hours of the bite, and then again ten days after the first observation. The animal will be allowed to stay confined in your home for the rest of the ten days. If your animal does not have a current rabies vaccine at the time of the bite, the animal must stay at a veterinary hospital for the whole of the ten-day observation. Speak with a veterinarian about confinement for rabies observation. If you do not wish to perform a rabies observation and you opt to have the animal euthanized, you must have a specimen taken and submitted to the state for testing. My neighbor’s dog keeps running into my yard. What can I do about it? If the dog is running within city limits, your first point of contact must be your local authorities. Supply whatever information you can, and your local police or animal control will work in conjunction with KCAC to resolve the situation. If a dog is found running at large in an unincorporated area, it may be impounded by KCAC and held until reclaimed by its owner. If a dog runs frequently, you may consider gathering photographic evidence of the dog running, and then call KCAC at 630-232-3555. Do you adopt cats/dogs at your facility? Yes. If no owner can be found for a stray animal, the animal is vetted by KCAC personnel. Dogs and cats deemed adoptable can be adopted by members of the county regardless of their county of residence. For pictures and information on our adoptable animals, check our Petharbor page. All adoptions require completion and approval of an Adoption Application. Click the digital copy of the Dog Adoption Application or Cat Adoption Application. You will need a current driver’s license or photo ID to adopt an animal. If you are a renter, bring a copy of your lease which indicates you are permitted to own pets at your address. If you have owned pets in the past, please bring copies of your medical records for previous animals. If you have lost your pets’ medical records, you may contact your veterinarian for replacement copies. Finally, all people who will be living with the animal will have to come in to meet it, and agree to the adoption. Can I bring my animal to meet an animal I’m adopting? If you are adopting a dog from KCAC, all other dogs that will be living with the animal will have to meet the new dog before the adoption can be completed. This is done in order to ensure that all the dogs in your household are compatible with each other. Cats do not need to be brought in to see a dog you are considering adopting. If you are adopting a cat, any other cats or dogs you have do not need to be brought in to see the cat you are considering adopting. Do I have to schedule an appointment to adopt an animal? Appointments are not required to look at our adoptable animals. We begin showing our adoptable animals to the public at 10:30 AM on weekdays, and at 9:00 AM on Saturday. Viewing hours end thirty minutes before the close of business each day. What will my animal come with at the time of its adoption? All animals four months or older will also include a current rabies vaccine, tag, and vaccination certificate. If the animal you adopt is under four months of age, we will schedule an appointment for rabies vaccination once the animal is an appropriate age. All animals come with full disclosure of their medical history at KCAC, including certificate of rabies vaccination. Dogs will also be given a collar and leash of appropriate size; cats will be given a cardboard carrier for transport. For further inquiries, call KCAC at 630-232-3555 and ask to speak with a member of our shelter staff. Adoption fees are set by the county board. Our Fee Table shows current adoption prices. Why do I have to register my animal? KCAC is tasked with protecting the public and animals from the spread of rabies. Rabies registration tags help us make sure that we have an accurate record of animals living in Kane County, and are used to prove that an animal has a current rabies vaccination. Because KCAC is not funded by taxpayer money, fees collected through rabies tag registration help cover the expenses of our shelter operations and programs. A rabies registration tag on your pet’s collar also makes finding a lost animal’s owner much easier. Each tag has a unique number, which is linked to the pet’s owner, and can be used by KCAC or the Kane County Sheriff’s Department to identify the owner of a pet. I lost my animal’s rabies tag. Can I get a replacement? Yes. Replacement rabies tags can be obtained from our office for one dollar. How come I just got an automated message from you? KCAC sends out automated phone calls monthly as a reminder, and in order to keep our database as accurate as possible. You may have received a call because you have an animal indicated as coming due for vaccination soon, or because you have an animal that the system shows is behind on its vaccination. We understand that sometimes our records may be out of date, and typically these can be cleared up by contacting our office at 630-232-3555. Do you offer veterinary services such as vaccines and microchips? We do not offer vaccination services to the public. KCAC does, however, host low-cost microchip and rabies vaccination clinics on a regular basis during the summer months. Please check our Animal Welfare page for the dates of the next scheduled clinic. For all other services, contact your local veterinarian. Do you microchip animals outside of your low-cost clinic? Yes. Call KCAC at 630-232-3555 for information on making an appointment to have your dog or cat microchipped. The fee is fifteen dollars. We do not offer this service to the public. For euthanasia and related services, contact your local veterinarian. KCAC is the law enforcement agency responsible for picking up straying animals in unincorporated Kane County and municipalities that contract with our agency. As such we must ensure that we have open cages at all times for any animal that might need our assistance. KCAC will only accept owner surrendered animals from people who live in Kane County. You will be required to provide documentation which proves your ownership of the animal and pay a twenty dollar ($20) surrender fee. KCAC will accept owner surrendered animals by appointment ONLY as we do not accept same day surrenders. Please contact our office for additional information and to schedule an appointment at (630)232-3555. What programs does your shelter offer? KCAC offers a variety of programs, from volunteer opportunities to educational lectures. Check our Shelter Programs tab for a detailed listing. Can I surrender my animal to you? KCAC is the law enforcement agency responsible for picking up straying animals in unincorporated Kane County and municipalities that contract with our agency. As such we must ensure that we have open cages at all times for any animal that might need our facility. KCAC will accept owner surrendered animals by appointment ONLY. Please contact our office for additional information and to schedule an appointment at (630)232-3555.